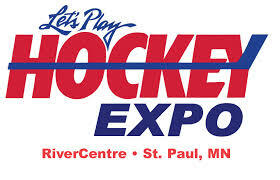 VidSwap.com will be at the Lets Play Hockey Expo March 6-7th at the RiverCentre in St. Paul, MN. This is the largest hockey gathering in the world, right here in the hockey state. Come on down and see us if your coming to the show. At VidSwap – we have an innovative video analysis platform for hockey that can make video editing a breeze. For coaches we edit and break down your games within 12-24 hours, allowing you to then instantly watch your game film for specific highlights, situations, and players on any computer and iOS device.